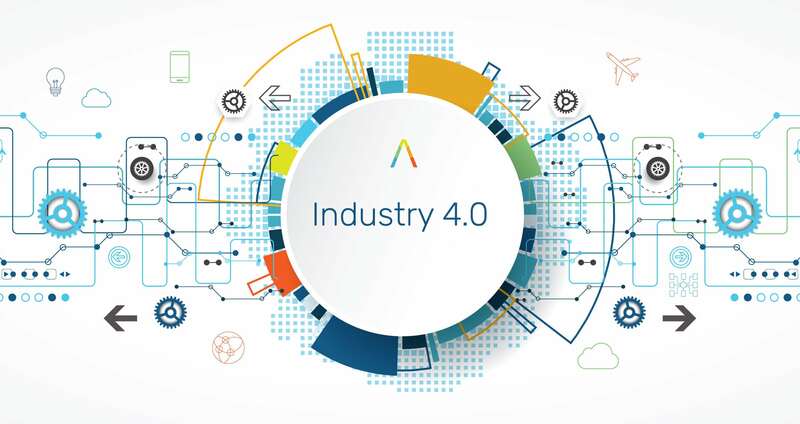 Industry 4.0 is characterized by the change on the flow of value from centrally designed and resource-intensive products to knowledge-intensive decentralized services designed and produced with strong support from Advanced Analytics and IA throughout digital transformation. This process has its beginning with the Internet boom in the first decade of the millennium. 2018 seems to be the year of emancipation of Industry 4.0; which ceases to exist only in scientific articles and laboratories, evolving with vigorous support from the budgets of the largest corporations in the world, according to research by the OECD, Gartner Group and PWC. Key Components – Coal and Steam Engines. Its major driver was the electricity that, from generators, motors and artificial lighting, allowed to establish the assembly lines, and thus was given the mass production of consumer goods. Characterized by automation, its driving force is the use of robots and computers in the optimization of production lines. Industry 4.0 is characterized by the strong automation of the design, manufacturing and distribution stages of goods and services with strong use of CI – Collective Intelligence – and AI – Artificial Intelligence. In Industry 4.0, with the evolution of the Web, individuals are increasingly empowered by their agents (smartphones). Giving up to the needs of this new consumer is one of the great challenges of the new industry. In order to understand Industry 4.0 it is important to clarify some concepts that make up its foundations: AI – Artificial Intelligence and CI – Collective Intelligence. Let’s start with IC, which is more tangible, since we constantly use mechanisms that use collective intelligence in the production and curation of content such as: Wikipedia, Facebook, Waze and Youtube. Wikipedia: For example, most of all Wikipedia content is produced by hundreds of thousands of publishers worldwide and cured by millions of users who validate and review their content. Waze: The Waze application uses users’ own movement to build and refine their maps, providing real-time alternative routes to escape traffic congestion and new routes of new sections created by cities. Facebook and Youtube are services that today have a diverse range of content that is spontaneously generated and cured by its users throughout likes and shares. What do these mechanisms have in common? They rely on the so-called intelligence of the masses, a concept established by the Marquis de Condorcet in 1785, which defines a degree of certainty and uncertainty about a decision from a collective of individuals. With hundreds or thousands of individuals acting in their own way, by summing all these actions, one gets a whole that is greater than the sum of the parts. This collective behavior is observed in the so-called swarm effects, in which insects, birds, fish and humans, acting collectively, reach much larger deeds than if they had acted individually. Condorcet proved that mathematically, inspiring illuminist leaders which used his ideas as base to the formation of democracies in the 18th and 19th centuries. In a contemporary way, we can look at a database as a large lake of individual experiences that form a collective. Big Data is responsible for collecting and organizing this data and Advanced Analytics for improving, creating and re-creating things (disruption) through intensive statistics and AI. In a judicious scrutiny, it is possible to understand AI as an artificial implementation of agents that use the same principles of CI – Collective Intelligence. That is, instead of real ants or bees, artificial neurons and/or insects are used in a computational world (cloud), that in some ways simulate the real-world behavior and thus obtains from the intelligence of the masses: decisions, responses and creations. For instance, this piece used to support a bridge in the Dutch capital, The Hague. On the left side is the original piece created by engineers. In the middle and on the right, two pieces created from an AI approach called genetic algorithm. The right-hand piece is 50% smaller and uses 75% less material, and yet, because of its design, it is capable of sustaining the same dynamic load of its left counterpart. There are hundreds of cases of AI use cases, ranging from the detection of smiles on cameras and cell phones to cars that move autonomously in the midst of cars with human drivers in big cities. Each AI use case relies on a set of techniques that can involve Machine Learning, insights discovery and optimal decision making throughout predictive and prescriptive Advanced Analytics and Creative Computing. The intensive use of CI and AI can generate new products and services creating disruptions that we see today in some industries promoted by companies like Uber, Tesla, Netflix and Embraer. In the case of Uber, they heavily use the CI to generate competition and at the same time collaboration between drivers and passengers, which is complemented by AI algorithms in delivering a reliable transportation service at a cost never before available. Despite being 100% digital, it is revolutionizing the way we are transported and very soon will launch its 100% autonomous taxis and, in the near future, drones that transport their passengers through the skies. This is a clear example of digital transformation from redesign through the perspective of Industry 4.0. Tesla uses CI from the captured data of the drivers of its electric cars and, applying Advanced Analytics, optimizes its own process and still uses them to train the AI that today is able to drive a car safely in the midst of the traffic of big cities of the world. Tesla is a remarkable example of Industry 4.0. They use CI and AI to design their innovative products, a chain of automated factories to produce them and sell them online. And very soon they will transport and deliver their products to the buyer’s door with their new electric and autonomous trucks, completely closing the Industry 4.0 cycle. Netflix, in turn, uses the access history to movies and notes gave by its users to generate a list of preferences recommendations that serve as input to the creation of originals such as the hits House of Cards and Stranger Things. In addition, they use the AI of the Bandit algorithm (from Netflix itself) to generate title covers and list curation, which attracts users (viewers) to consume new content. 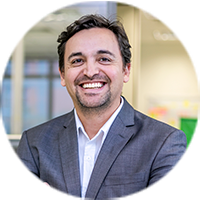 Embraer, the world’s third largest producer of civil aircraft and the largest innovation company in the Brazil, uses AI, CI and Advanced Analytics in equipment maintenance systems. By using these techniques it is possible, based on maintenance experiments and risk mitigation procedures applied to an IA, to reduce the costs of troubleshooting processes in high-value equipment, up to 18% savings in an industry where apparently low margins can generate considerable competitive impact. The path to industry 4.0 is paved by the techniques of CI, AI, Advanced Analytics, Big Data, Digital Transformation and Service Design and with good examples of global leaders. Transformation is often a process that can generate anxiety and discomfort, but it is necessary to achieve the virtues of Industry 4.0. We suggest starting small and thinking big, start thinking about Data, they are the building blocks of all Digital Transformation. Start by feeding a Data Culture into your business / department / industry. And how do you start thinking about Data? Start with the definition of your dictionaries, they will be your nautical charts in the middle of the Digital Transformation journey. Understanding the potential of data and the new business they can generate is instrumental in the transition from producer of physical goods to service providers, that can be supported by physical products or not. See Uber and AirBnb, both have no cars or real estate, but are responsible for a generous share of the transportation and accommodation market. We recommend raising the degree of maturity beginning with a diagnosis, then the elaboration of a plan of action and its application. At Aquarela we have developed a Business Analytics Canvas Model which is a Service Design tool for the development of new business based on Data. It is possible to promote the intensive use of CI, AI in the stages of Design and Services, the links that characterize the change from Industry 3.0 to 4.0. We will soon publish more about Business Analytics Canvas Model and Service Design techniques for Advanced Analytics and AI.